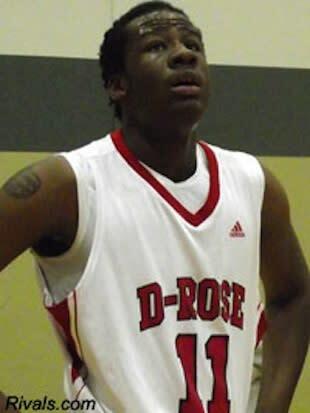 It's still early in the recruiting cycle for the Class of 2014, but the number of suitors for Illinois sophomore power forward Cliff Alexander is likely to rise soon, thanks in large part to his phenomenal strength in the post. Want proof? Just check out the backboard-shattering dunk below. "It felt good," Alexander told Slam Magazine. "I felt like Shaq actually." Alexander, who plays his high school hoops for Chicago (Ill.) Curie High but was competing for the D-Rose AAU squad when he broke the backboard, is ranked as one of the top-10 recruits in the sophomore class. The forward already holds scholarship offers from a variety of Big Ten and SEC powerhouse programs. He'll likely have his choice of college destinations, particularly with the attention of the likes of John Calipari, Tom Izzo, Tom Crean, John Beilein and Buzz Williams all in attendance at the Nike Spring Shootout by Chicago Hoops to watch Alexander and his AAU teammates. For his part, the powerful forward said he had no idea the backboard was going down when he elevated for his event-defining slam in the final game of the night at The Fieldhouse in Merrillville, Ind. "When I went up, I didn't know it was going to break," Alexander told Slam Magazine. "It just broke. ... All I heard was a big noise. I looked up and all I saw was glass." Intriguingly, Alexander's game-ending slam wasn't the first backboard breaker of his career, but it was the first he's had in an official game; he pulled off a similar feat during his freshman season in a practice. Given his early success, it seems likely that more rims and backboards may come crashing down in future seasons, something that future AAU tournaments with Team D-Rose on the schedules might want to take note of.